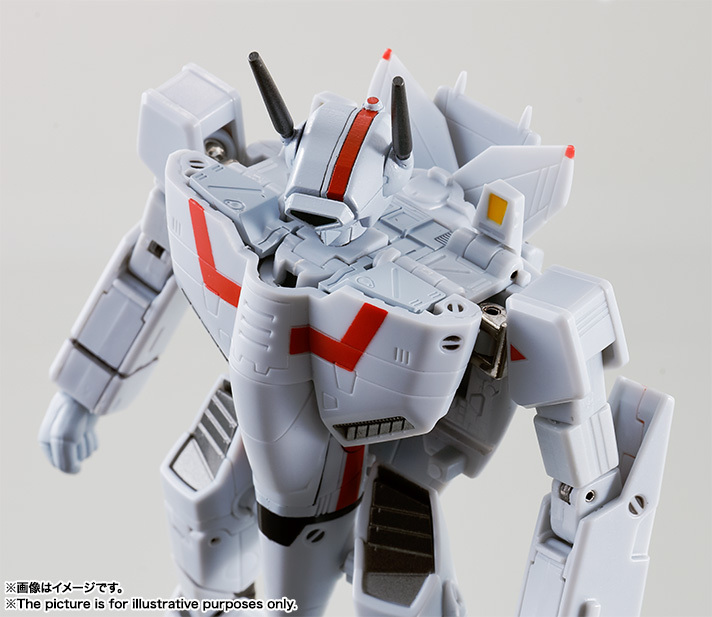 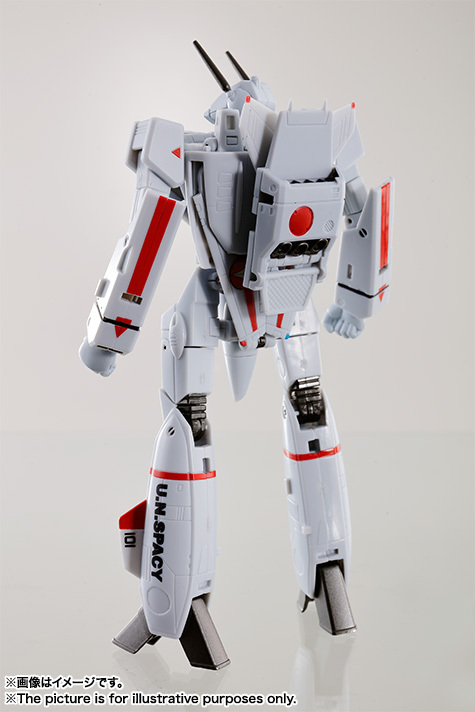 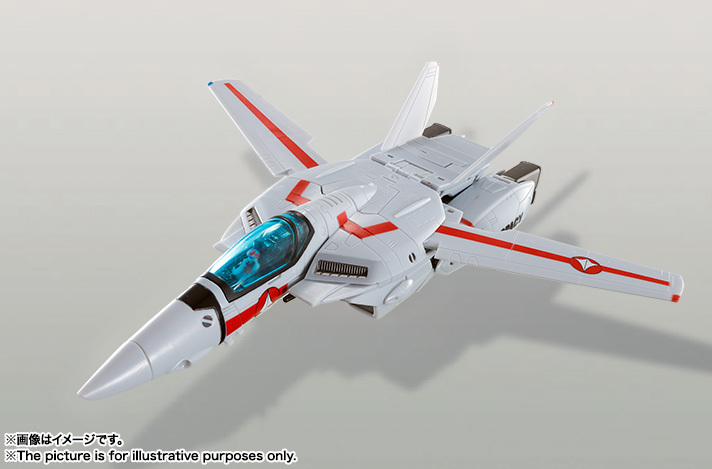 This is a standalone release of the Hi-Metal R VF-1J that lacks the Armored Parts set. 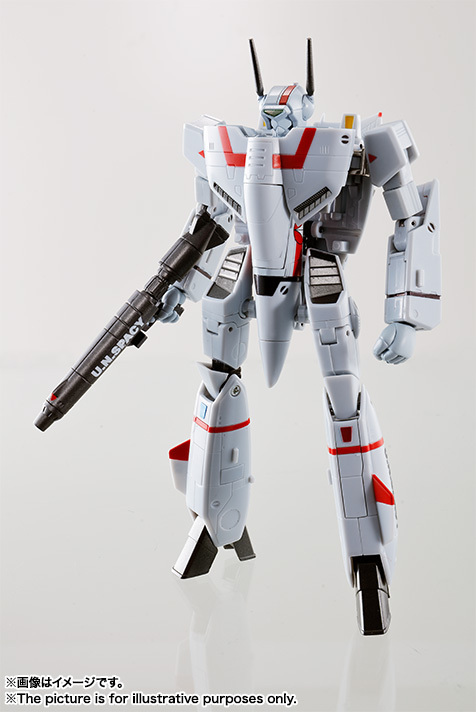 Includes chest filler pieces, alternate short wings, TV show style hands, pilot figure, stand parts, and gun pod. 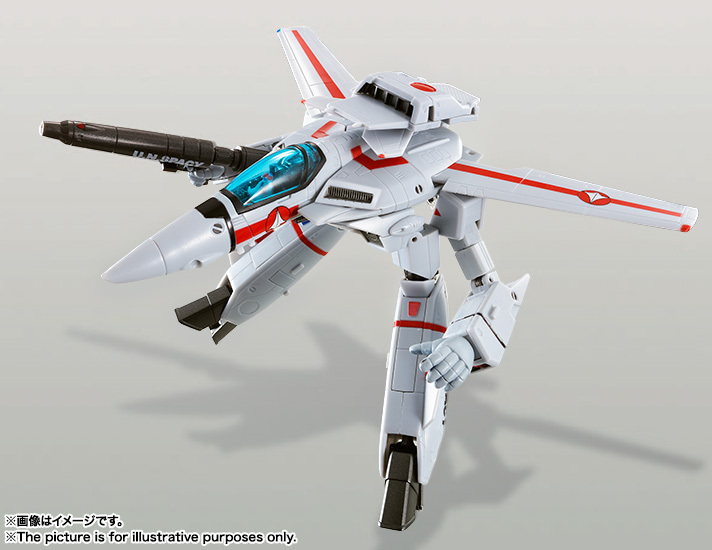 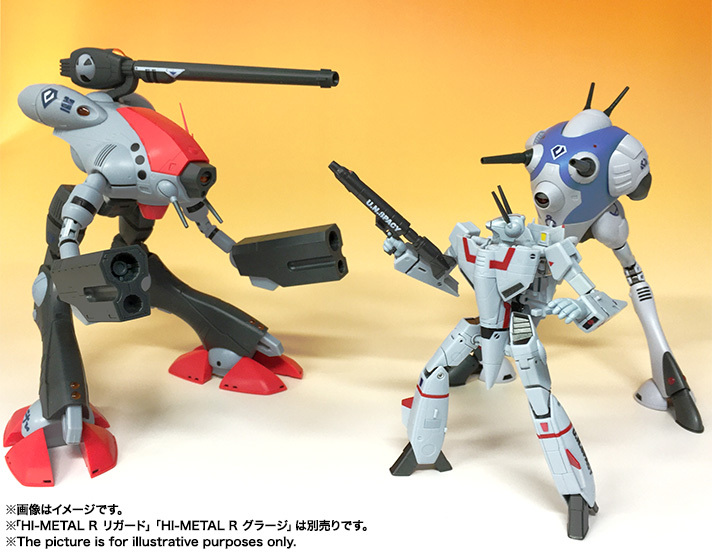 Scheduled for release in October 2016 for 6,800 yen.